Is it possible to correct all of your brain health issues with a single ingredient? Odds are no, unless your issues relate to a deficiency in a single ingredient (e.g., vitamin B12) — however, it’s incredibly rare these days to be deficient in only one nutrient. And, really, turmeric isn’t something you absolutely need to survive. So, what’s with this GNC Earth Genius Herb 360 Turmeric review? Here’s the deal: turmeric is pretty damn good for you — in fact, great for you — and it is a single ingredient with immense brain health benefits. Who Takes GNC Earth Genius Herb 360 Turmeric? Conclusion: Does GNC Earth Genius Herb 360 Turmeric Work? 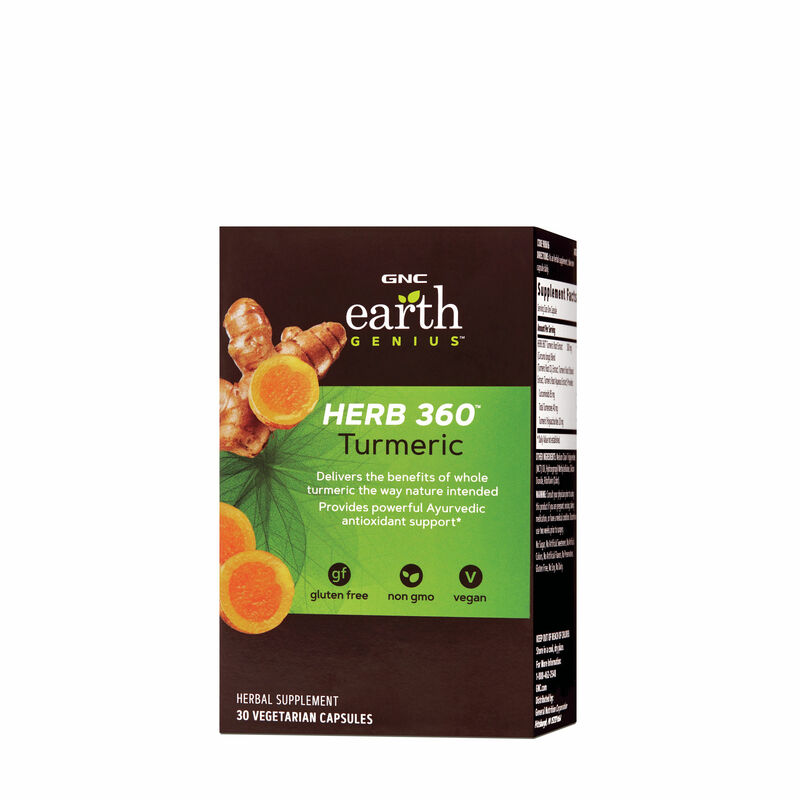 GNC Earth Genius Herb 360 Turmeric supplies a unique, potent, patented extract of a single curry-licious herb: turmeric. Turmeric possesses significant antioxidant, anti-inflammatory, anti-aging “superfood” benefits, prolonging cognitive longevity and performance. No black pepper extract? This turmeric extract does seem more potent than other extracts, yet black pepper helps with turmeric absorption… and this turmeric supplement doesn’t have any black pepper extract. Bummer. Other Ingredients: Medium Chain Triglycerides (MCT) Oil, Hydroxypropyl Methylcellulose, Silicon Dioxide, Riboflavin (Color). Directions: As an herbal supplement, take on capsule daily. I say “ingredients” but GNC Earth Genius Herb 360 Turmeric has essentially one ingredient. And you already know what it is. Soooo let’s just jump into it! The patented HERB 360™ form of turmeric splits into three parts (in order by weight): curcuminoids, turmerones, and polysaccharides. Curcuminoids – The primary health compound of turmeric interest, curcuminoids provide immense antioxidant benefits, helping reduce oxidative stress, brain inflammation, and amyloid plaque levels. While not a cognitive enhancer per se, curcuminoids may improve mental performance among the elderly, likely due to its neuroprotective, neuroregenerative effects. Turmerones – With similar bio-actions to curcumin, Herb 360 seems to use turmerones primarily to improve absorption of curcuminoids (see the red box below). Not a bad idea, considering that Herb 360 doesn’t pair this turmeric extract with black pepper extract (again, see the red box below). Polysaccharides – Sugars. That’s essentially what polysaccharides are. However, turmeric polysaccharides may possess immunity enhancing benefits. Read my in-depth review on turmeric. No BioPerine® Black Pepper Extract? Curcumin has poor oral bio-availability, meaning that a low amount of consumed curcumin enters the bloodstream upon digestion. One way to increase the potency of turmeric is to pair it with black pepper, namely black pepper’s bio-active compound: piperine. 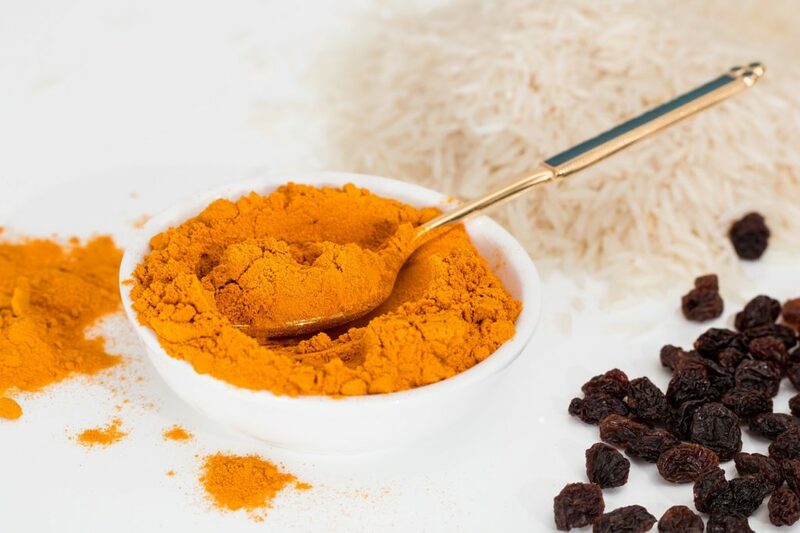 In fact, one study found that pairing curcumin with piperine increased the bioavailability of curcumin by 2,000%. Instead, Herb 360 uses turmerones, which also seem to improve curcumin absorption (according to another study). Even so, I can’t imagine BioPerine® being a bad idea here. Whenever I see a turmeric-supplying supplement, the first thing I check: is there black pepper extract? It’s fairly common knowledge that black pepper enhances the health results of turmeric. (Even turmeric food recipes often advise the use of black pepper for this reason.) Yet, GNC Earth Genius Herb 360 Turmeric does not supply black pepper extract. I think it’s bad that GNC Earth Genius Herb 360 Turmeric does not supply black pepper extract. You know what goes great with spice? Other spices. However, having said that… the turmeric extract itself is impressive. Rather than simply supplying a heavy concentration of curcumin, HERB 360 supplies a mixed ratio of curcumin, turmerones, and polysaccharides. And it’s the turmerones in particular that assist with the absorption of curcumin, as demonstrated via research. And so if I’m rating the turmeric extract as a standalone ingredient, then, hell yes, this is a swanky, brain healthy herbal extract. However, unless I see research that can demonstrate turmerones being comparably beneficial to curcumin absorption as black pepper extract is… I’ll remain somewhat skeptical of this supplement. 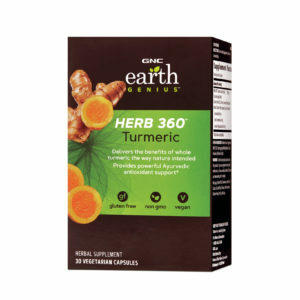 So, all in all, GNC Earth Genius Herb 360 Turmeric has an impressive turmeric extract, yet as a turmeric supplement altogether, I’m not so sure. The HERB 360 turmeric extract is one of the best turmeric extracts I’ve seen, mixing more than just a high concentration of curcumin. Thankfully, GNC Earth Genius didn’t hide its turmeric contents beneath a proprietary blend, showcasing all of the extract’s parts with their respective dosages as well. Turmerones may help enhance the potency of the curcuminoids. No BioPerine. I’ve already harped on about this, so no need to harp further. Questionably priced. You’re only getting one ingredient here. You can find other nootropic stacks that supply many other ingredients in addition to turmeric within a comparable price range. Here’s how pricing works if you buy GNC Earth Genius Herb 360 Turmeric through the GNC online store: you can buy this supplement at the price listed above or, if you choose the “AUTO-DELIVER & SAVE” option, you can save 10% + free shipping per automatically monthly shipped bottle. Plus, GNC offers a Buy One, Get One 50% Off deal online (at time of writing), if you buy the one time only option…? Long story short: if you like this supplement and plan on taking it for awhile, there are ways to save money in the long run, if you buy through GNC. Turmeric supplements tend to appeal to the superfood crowd as well as the “I need to preserve my brain cells” older folk. Really, I wouldn’t even qualify turmeric as a nootropic for most users younger than 45 or 50. So, anyone concerned with reducing oxidative stress related to aging and mental decline may find value in this supplement. 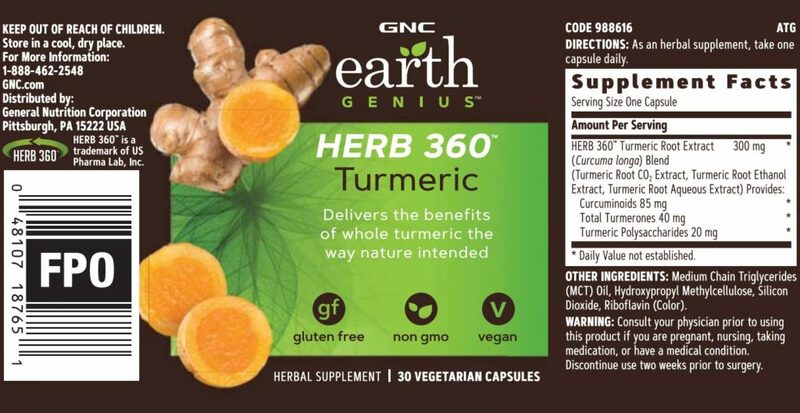 You can buy GNC Earth Genius Herb 360 Turmeric through GNC (duh!) as well as Amazon. Part of me feels like I’m coming down hard on GNC Earth Genius Herb 360 Turmeric for its lack of black pepper extract. The other part of me feels I should disregard it altogether. If my ambivalence is any indication, GNC Earth Genius Herb 360 Turmeric is simply an all-around questionable turmeric source. Sure, the turmeric extract itself is impressive and potentially more potent than other turmeric extracts. Yet, it’s almost a given that you’re supposed to pair turmeric with black pepper extract. Perhaps taking GNC Earth Genius Herb 360 Turmeric with a peppery meal might help? But that’s mere speculation. Even so, I think this turmeric extract is better than most, so you could certainly do worse. However, if you’re looking for a more comprehensive cognitive enhancing brain health stack, I recommend checking out my Best Nootropic Supplements of 2018 list.